Nose: Relatively young with Sherry, Sweet Barley, Floral Tones (Heather, Grass), Orange, Honey, Light Peat, Buttered Toast and Marmalade, Salt, Creamy Milk with Banana and Apple Flavour, Raisins, Dried Apricots, Wood and Leather. There's some Alcohol to be found as well and perhaps a whiff of Sulphur and Varnish. It's almost like a plate of Creamy Milk with Breakfast Cereals, Dried Fruits and a sprinkle of Honey and Fruit-Fragrances. This Nose won't change the world but it's well-balanced and inoffensive. Palate: An ABV of 40% does not do justice to this Single Malt. The delivery is simply too watery for my taste. It's also a bit disappointing after the pleasant enough Nose. I get Malt, Sherry, Floral Tones, Orange, Caramel/Butterscotch, Wood, light Peat/Smoke, Brown Sugar, Pepper, Burnt Nuts, slightly Bitter Cocoa Powder and light Varnish. Finish: Middle-Long with some Vanilla, Butterscotch, slightly Bitter Wood Shavings, Nuts and light Ashes. I added a bit of Water and the Nose gets dominated by Sweet Grains and Bananas. The Palate becomes a bit Dusty and Earthy with light Smoke and Ashes. Better sip the HP 12 neat. General Remarks: Highland Park, founded in 1798, is the most northerly distillery in Scotland and is located on the Orkney Isles off the North-East coast of Scotland. 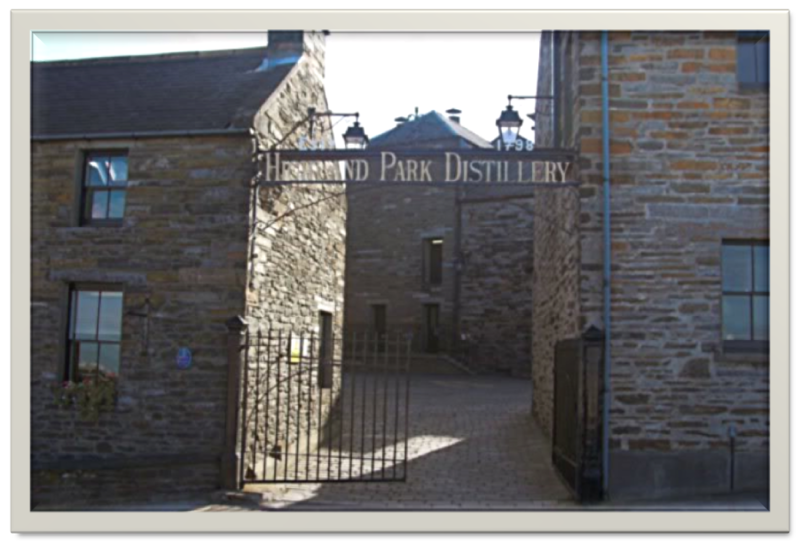 The distillery uses local Orcadian Peat, that mostly consists of Heather and other Plants. Only a limited amount of the Malt is dried with Peat though. 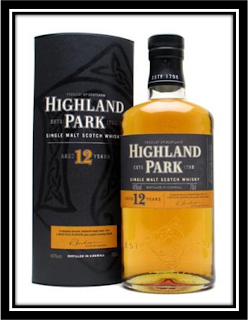 Highland Park mainly matures their spirits in Ex-sherry casks from both Spanish and, curiously, American Oak. Highland Park is one the very few remaining distilleries that malts (at least part of the) Barley on their own malting floor.The HP 12 years is chill-filtered and various batches are vatted before bottling to maintain consistency. The HP 12 costs on average around 50 US Dollars. The US Bottling has a more adequate ABV of 43%. Conclusion: Not an easy one to judge. On the plus side there is the excellent Price-Quality ratio. It's also a nice bridge between Speyside and the lighter-peated Islays. And I quite like the Nose. It's not something special but it is well-balanced. None of the aromas seem to dominate. On the other hand, the Palate suffers from the too low (British) ABV of 40%. I also find the HP 12 a bit too balanced on the Palate. I miss a bit of character and I believe it would benefit from a longer maturation. So to sum it up, the HP 12 is a well-crafted Single Malt and I can understand that lots of people love sipping this stuff. Personally however, I would have liked to find a bit more Character and Personality in this spirit. I agree with your opinion. Its a good dram, but nothing special, easy to drink. Its a nice start in the HP-Range, with a good quality. I liked its balance a lot. I still have the 15, 16 and 21 to taste. Will be nice to compare with the 12. A Nice Weekend for U2! Its the 47,5% so Im really looking forward to that now!